I like to recycle ideas! There, I said it. Why re-invent the tree wheel, right?! That being said, remember my Money Tree gift idea from a few weeks ago? Well, here it is in Valentine form. To make this one you just follow the same steps from the Money tree tutorial listed here except you'll swap out the floral wire for silver wire and you'll use scrapbook paper instead of money. Everything else is the same. I also added in some rub-ons so there is quote about love on my tree. You could make them in several different sizes and have your own little forest of growing love! 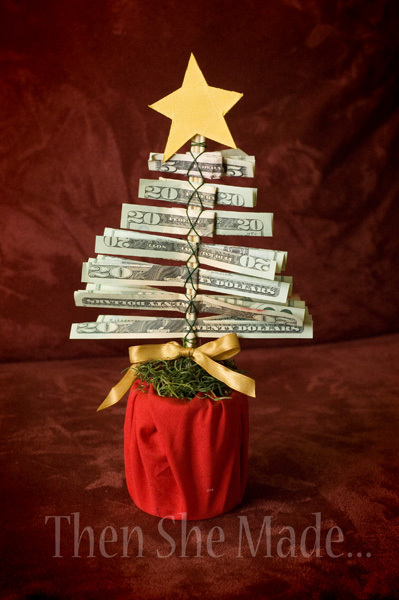 I loved your Christmas money tree but didn't get around to making it. 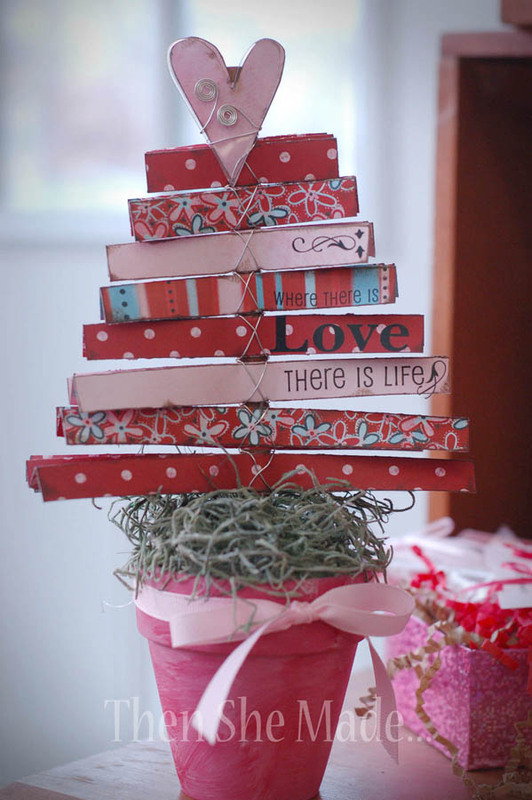 Now I'm really loving your Valentine tree, this one I'm definitely making. Thanks for sharing such a cute project! WOW! This is darling! I absolutely love it! Thanks so much for sharing!! I may just have to make one of my own!! SO glad I found your blog! I have been pouring over it all night long. I love so many of your projects, but have gone kookoo over your cookie sheet calendars! Any chance you'll put up that part two and show us how you make the compartments on the back? Pretty please! Thanks so much! Adorable! One of my very favorite Valentines things I've seen in blogland! This is sooooo cute!! I love it! Absolutely adorable!! Can't wait to make this! Super cute!! So many different ways to do this concept, it's such a great design, thanks so much!! Have a great weekend! Found this via Pinterest! So glad I did. I lead a craft night fro teen moms and I think they'll LOVE this! Thank you so much for sharing! Thank you so much for this cute craft! Our Bible Study made the Valentine's trees for our Brunch & they turned out so cute! Thank you for sharing!